Be the first to get the new Samsung Galaxy S6! Get up to 20% off the full price when you buy in Lazada Philippines! 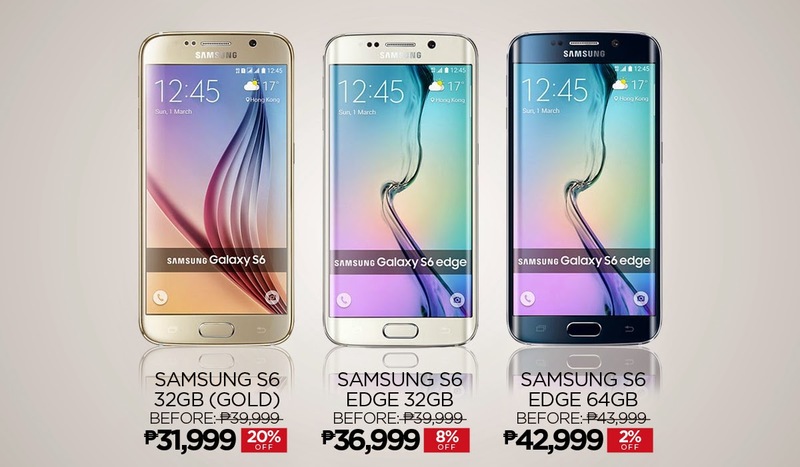 Samsung Galaxy S6 and S6 Edge are now available in the Philippines through Lazada.com.ph. The early debut of these android powerhouses comes with jaw-dropping price tags - slashing up to 20% off the full price! The Samsung Galaxy S6 32GB currently carries a price tag of PhP 31,999; while the Samsung Galaxy S6 EDGE 32GB is currently at PhP 36,999. Meanwhile, the Samsung Galaxy S6 EDGE 64GB is being sold at PhP 42,999. How to buy the newest Samsung Galaxy S6 models online? All of these are available now in Lazada Philippines. Buy any of these items using your desktop or laptop. Alternately, you may shop with ease via the Lazada Mobile App which is available for download on both AppStore and Google Play Store. Payments can be made via Credit/Debit Cards, PayPal, and Megalink Affiliated Cards. Moreover, if you are a BDO Credit Card holder, you may have the option to pay via installments for as low as PhP 2,000 per month! Do not be left behind and spread the hottest piece of news!